We’ve been having amazing weather all week (hit record highs of 90 yesterday!) and all I can think about is the next step in our home decorating process: sprucing up our patio. 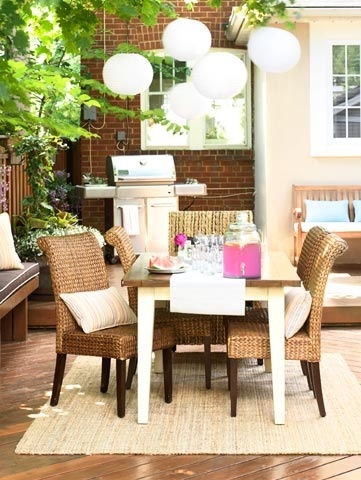 While the patio size is not that large (maybe a 10×5 space), we want to make it a cozy spot for different occasions such as relaxed reading, summer bbqs, grilling party, or an afternoon nap. 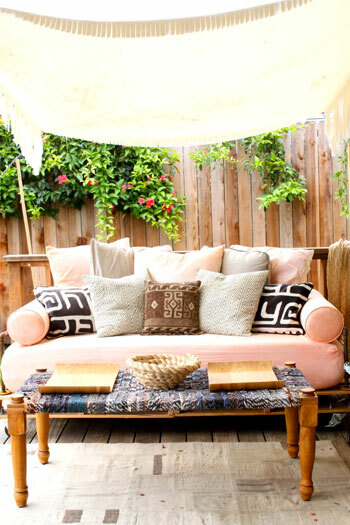 Summer means many no-frills evenings where we head to a comfortable nook to sit, sip a glass of wine, and enjoy nice weather. 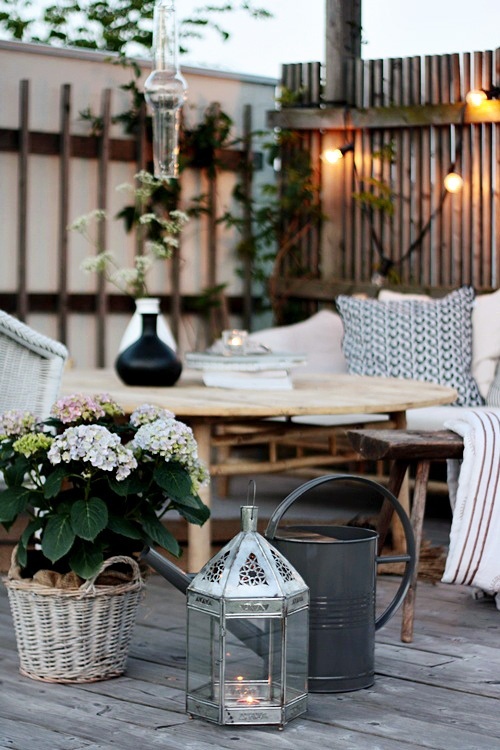 I’ve seen a lot of sales these days for garden lanterns, outdoor furniture, decorative lights, you name it, and I can’t help but gather some inspirational ideas for patio decor. There are so many decisions to make from color palette to furniture to flowers. And we can’t forget about the grill – a must have on our patio. 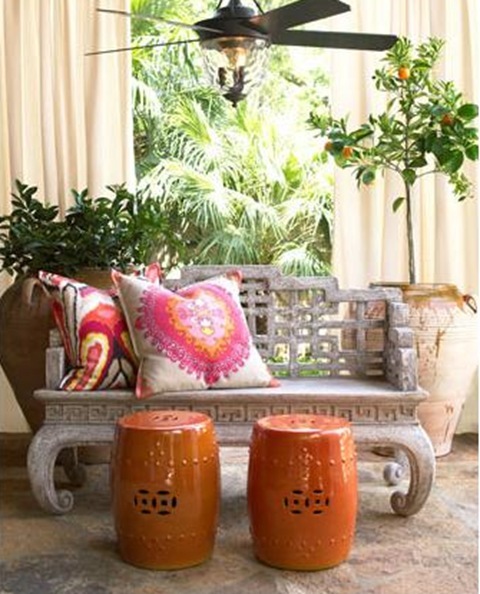 Let me know if you have a favorite item in your patio or any ideas to recommend!